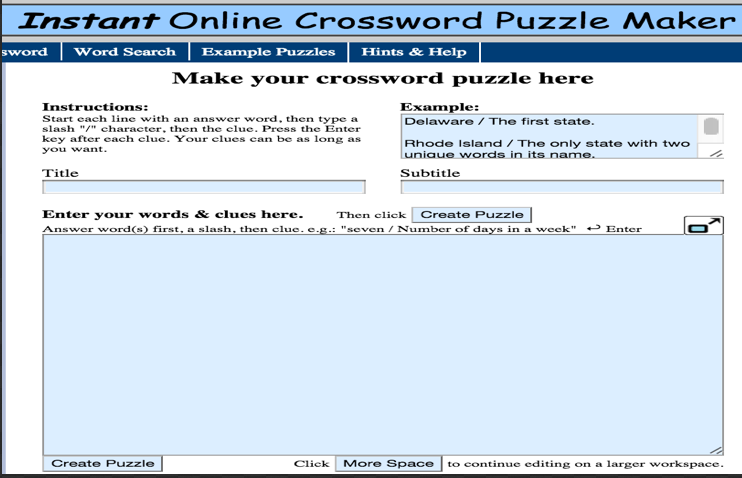 This is a very good web-based tool to generate interactive crossword puzzles to use in class with your students. 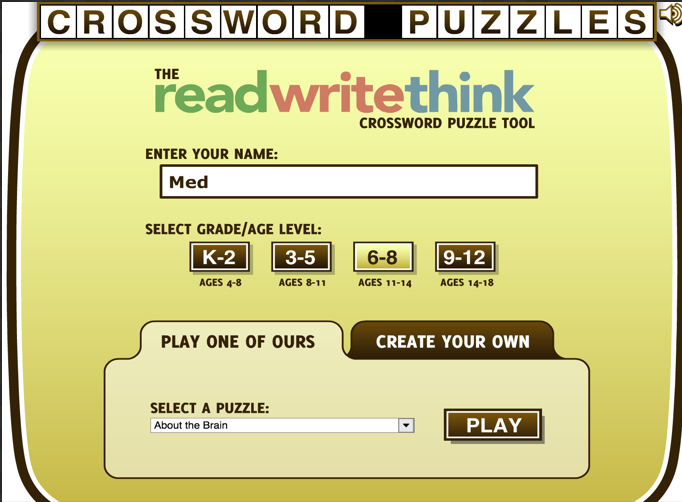 To start using it, enter your name and select a grade then click on ‘create your own’ tab and provide a title for your puzzle. Next, type in your words (you need at least three) and cues. The preview version allows you to see how your final crossword puzzle will look like. If you want to edit something you click on ‘regenerate’ and when you are done you can print your crossword puzzle and share it with your students. 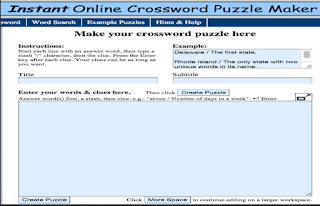 Crossword Labs is an excellent web tool that allows you to easily build, print, share and solve crossword puzzles online. The process is very simple: type in your crossword title then enter the word, a space and a clue and there you go. 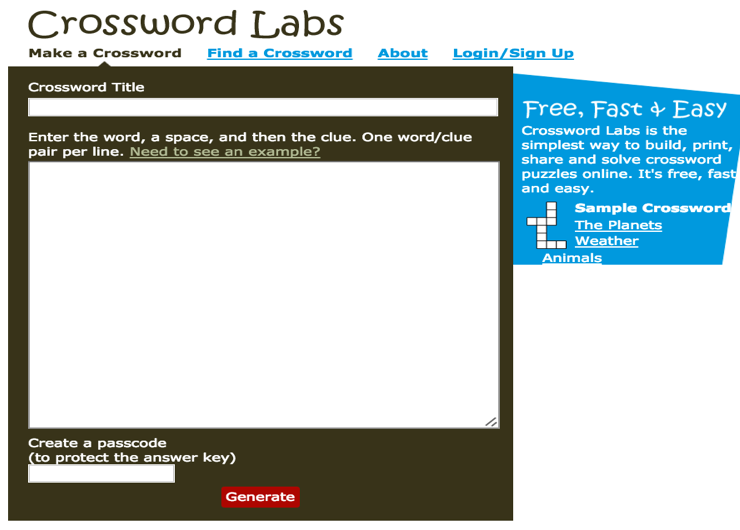 To protect the answer key create a passcode before you generate your crossword puzzles. 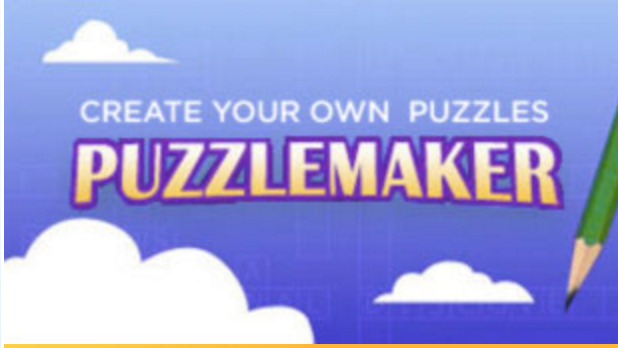 Puzzlemaker is a puzzle generation tool for teachers, students and parents. 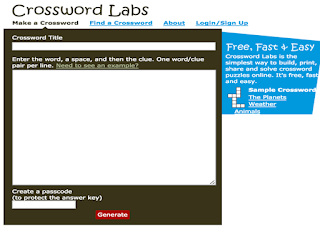 Create and print customized word search, criss-cross, math puzzles, and more-using your own word lists. To start using it, you need to choose a type of puzzle from the list provided there and follow the instructions provided there.